It doesn’t take long – a few days sometimes, a week at most – when I begin craving what I had been eating on a recent trip. From in and around Marrakech last week it was a simple finger “salad” of Moroccan Carrots with Cumin that I first begin to desire back in Barcelona. For dinner the other night I cut the carrots into rounds, blanched them, and then began tinkering with the spices and oil and lemon juice to get that (in my mouth) just-right tang of cumin of the ones I ate at La Maison Arabe with retaining an underlying sweetness like the ones from Amanjena. The came out well, though the next day, properly chilled, there were even better – and closer to the taste I had been aiming. I ate them for lunch as a lead into to a bowl of (equally chilled) gazpacho. Perfect for the warm summer day but also my mood. I am making them again in a few days’ time to take to a dinner we’re attending, and will continue to hone the recipe. Then, perhaps, I will post it here. In the meantime, a lamb tajine with caramelized onions from Terres d’Amanar, in the western flanks of the High Atlas, is the second craving. I’ve drafted out the recipe and am off to the market. It’ll be tomorrow’s lunch. Today I signed the contract for a new cookbook for Chronicle Books called The Country Cooking of Spain. 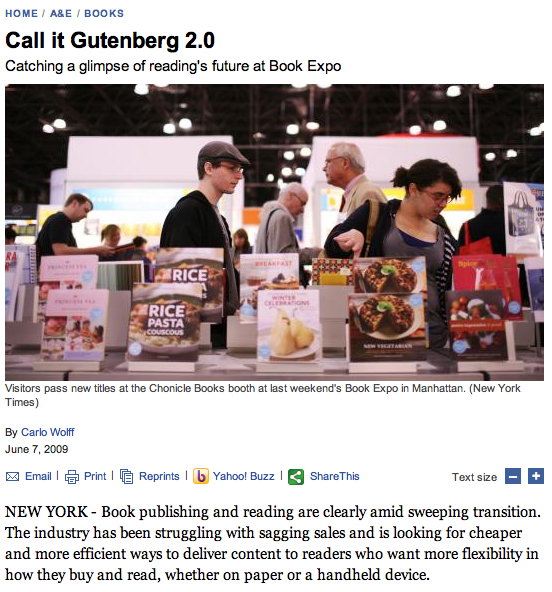 Chronicle is well-known for books with a strong visual component and also one of the most successful cookbook publishers, a combination I am happy to tap into. They published my previous two books (La Paella and the out-soon Rice Pasta Couscous) and I am pleased to continue working with them. The book is part of the ambitious “Country Cooking” series. One of the books has already been published, The Country Cooking of France by Anne Willan which won James Beard awards for Best International Cookbook and Best Photography. (The short video on photographing it is especially interesting.) Colman Andrews has authored The Country Cooking of Ireland,which will be published in Fall 2009. The Country Cooking of Spain will be the same size and scope as the France book — 400 pages, 250 recipes, 200 images, and plenty of text. The photographs will all be taken by me, both the location ones and the ones of the plated dishes. It’ll be a hefty tome — weighing over 5 pounds and retailing for $50 — and there is much work ahead, both in the kitchen and on the road. I will be posting updates, notes, images, and perhaps even some recipes-in-progress here as I work on it. Watch this space for more! 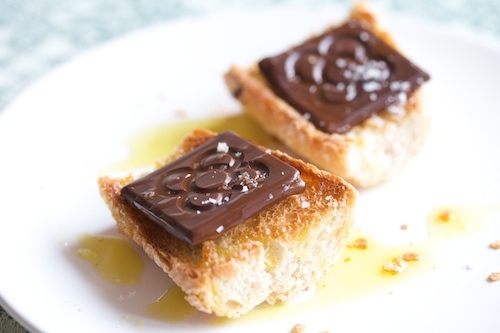 In the meantime, here’s a taste — this is one of the easiest, but most delicious, things that will be included: toasted bread with extra-virgin olive oil, chocolate, and salt. A traditional Catalan country snack. Sublime. Bread with Vea’s unfiltered Les Costes extra-virgin arbequina olive oil and Enric Rovira chocolate. © Jeff Koehler. 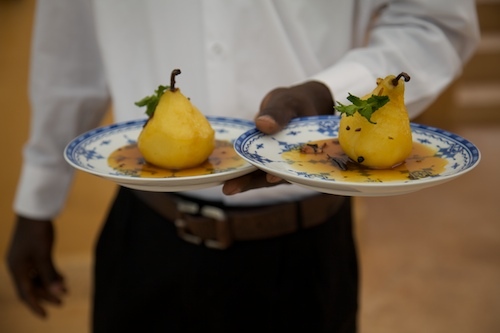 The spiced pears are brought out for dessert at Jnane Tamsna in Marrakech. June 2009 © Jeff Koehler. Here’s a grab from Sunday’s Boston Globe. The book is out in November. Read the article here.